The term was coined as a result of a British study in 2008, which found that slightly more than half the UK population exhibited signs of this fear. For several years, this term was tossed around as a joke. Most people, myself included, rolled their eyes when they heard it, filing it away in their minds with other irrational fears, like coulrophobia, the fear of clowns. Fast forward 10 years to today, when the film adaptation of Stephen King’s It has most of us firmly entrenched in the fear of clowns, myself included, and more than 90% of smart phone users report feeling uneasy without their phones, while about 70% describe feeling naked or missing a limb. When we look at the data, nomophobia doesn’t seem all that funny anymore, and today, there’s a strong push among researchers for nomophobia to be studied as a clinical form of anxiety. But wait, it gets worse! 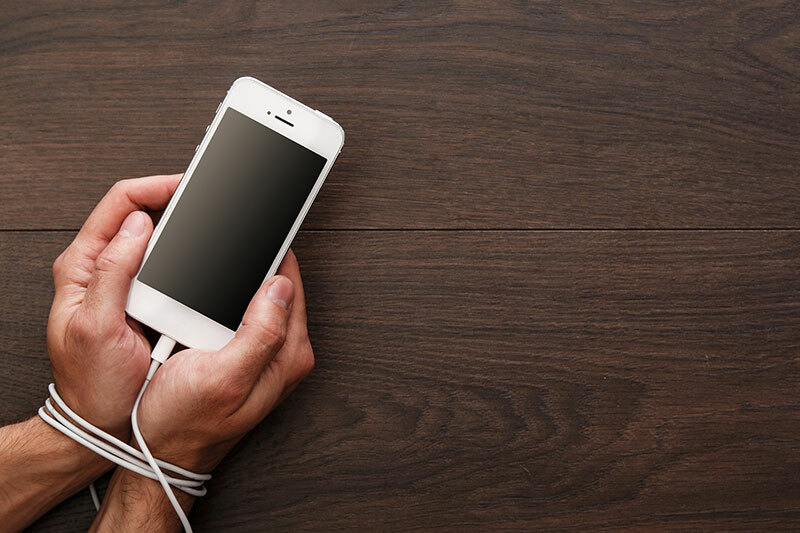 Six years ago, another term was coined in relation to our apparent techno-addictions, and this one is fun to say: Phubbing, which is short for phone-snubbing, or the act of using a phone in the same way that an ostrich uses sand. As with before, people laughed at first, but all it takes is some quick and dirty observation to see it in action. Observe people in line at the grocery store. Observe parents waiting to pick up their kids from school or hanging out at the local playground. I could give you a hundred different scenarios, but they’re all the same. In each situation, you find people with their faces buried in screens rather than talking with one another. A 2016 Baylor University study, aptly titled, “My life has become a major distraction from my cell phone,” discovered a clear correlation between phubbing and decreased marital satisfaction, and a Chinese follow-up study based off this one showed increases in depression as well. Taking this a step further, a European study conducted on couples eating dinner together showed that even the mere presence of a phone, like having it simply sitting on the table while eating, leads to measurably more negative effects on closeness, connection, and conversation quality. So, where does all this distraction come from? It has been famously stated that trying to find information by way of the internet is like trying to take a drink from a fire hose. Allow me to put this in perspective because, sometimes, these numbers can be too big to even comprehend. Our computers and phones operate using 1s and 0s. Each of those digits is called a Bit. When we group 8 of those digits together, we have a byte. Sound familiar? One thousand of those is a kilobyte, and a typical Word document might be about 50-100 kilobytes or so. One million bytes later, we have a megabyte. If I pull out my phone and take a selfie, the resulting picture would be about 1 megabyte. Group together 1 billion bytes, and we get a gigabyte. My first computer way back in 1996 had a whopping 4GB hard drive, and that was high technology at the time. Even though I dropped three grand on that thing, I recall thinking I’d never fill the hard drive, but the flash drive currently in my pocket has 16 times that storage space, and even it is almost full. When we get a trillion of these bad boys together, we have a terabyte. My son’s cheap computer has a 1 TB hard drive, and my external backup hard drive has 4 TB of storage. As of today, that’s the most space I have ever owned at one time. This number is a zettabyte: a 1 with 21 zeroes after it, or as my kids might say, a thousand-billion-billion. In 2009, the entirety of the worldwide web, according to a report by The Guardian, was half a zettabyte. If we ran over to Best Buy and bought every last 1 TB SATA hard drive they had (the standard hard drive likely sitting inside your computer) and placed these drives flat on the ground, end-to-end lengthwise in a single-file line, we’d have a line that stretched around the equator of our planet almost eight times before we had a total of one zettabyte of storage. The retail cost of all those hard drives, based on their current worth, would be around $45 billion plus tax based on current Amazon prices. In 2003, Mark Liberman calculated that, if all speech ever spoken by the whole of humanity since the dawn of language had been recorded and stored, it would take up an estimated 42 zettabytes. By the year 2025, humanity will have created AND digitally stored more than 200 zettabytes. That’s a really big fire hose. And now you know the staggering scale of the Age of Distraction and exactly why it is so critically important for our species to become more mindful with respect to controlling our attention, as well as our consumption of information.